Credit repair to help improve your credit report and credit scores. Feeling the Impact of your credit score? FRS Credit repair shows you that a credit score is not an arbitrary number, calculated by an invisible credit agency with no real bearing on your life. Just the opposite. Bad credit can cost real money and increase debt. A low credit score indicates to lenders that you are a high-risk borrower, and they may not be willing to lend you money. Poor credit can cost you on average $350 per month or $4,200 per year in higher interest rates, higher housing costs, higher insurance premiums, and increased security deposits. Missed opportunities may include qualifying for better jobs. We utilize the latest laws regarding your consumer rights to verify and validate the information reported by the three major credit bureaus (Experian, Equifax and TransUnion) and your creditors. Our specialized approach forces the legal removal of inaccurate and unverifiable information, resulting in an increased credit score. Our credit repair process is led by credit report and credit score experts who determine the best plan for raising your credit score. Usually, some simple steps will improve your rating right away, such as paying off certain credit cards or reducing your balances. Our credit experts then go through your credit report, validating each item line by line. They laid out what the process would look like and managed expectations from the beginning. They did exactly what they said they would do and delivered the help that I needed! Because of FRS my credit is in much better shape, and I’m able to get the financing I have been seeking. I would not hesitate to refer people to FRS Credit. Very impressed with Shawn and his staff. Very grateful for all that they have done to help restore my credit. I was able to buy a car with a good interest rate and have credit cards with decent rates. Shawn has been very helpful and effective. I will continue to refer my friends to him. Thank you. We had a great experience, I was not sure what the outcome would be; however, Shawn and his team were able to bump my wife’s credit score up almost 100 points in 6 months. This allowed us to get the best rate available when locking our loan! I was referred to Shawn from a friend in the mortgage business. It was a tough phone call to make, but I needed help. Shawn & his staff did a fantastic job restoring my credit. My personal credit score went from the low 500s to mid 750. Also we were able to buy a house. Thank you Shawn. I would recommend him 100%. Outstanding team! Shawn was able to delete 20 items and help me build credit. I am now able to start looking at buying my first home. He went above and beyond to help and answer any questions I had throughout this process. If you are considering hiring him, do it today. He will not disappoint! 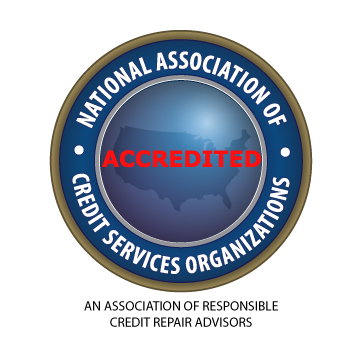 FRS Credit is a top pick for credit repair services because we are an honest, ethical company that follows the best practices. Our services are handled by our experienced credit experts, and we utilize specialized software and technology. Clients have access to their online file 24/7, as communication is very important to us. Our credit restoration services will speak to all three credit bureaus on your behalf, and we guarantee that we’ll improve your credit report and scores.